Filip Cvitić, professional designer, designer behind chocolates DOBRO. Dubrovnik, Zadar, Zagreb and Split. In order to regain attractiveness of Croatian cultural heritage and its forgotten identity, it is essential to approach it as a market value, as technology, which needs to be constantly innovated in order to maintain a certain market share. But that certainly is not enough. Created products and services need to give its users true value for money. They also need to be interesting, attractive and useful at the same time. Cultural heritage can give products more content and connect them with the country in which they have been produced. That is why the project FABULA CROATICA uses cultural heritage as a basis for creating unique products. 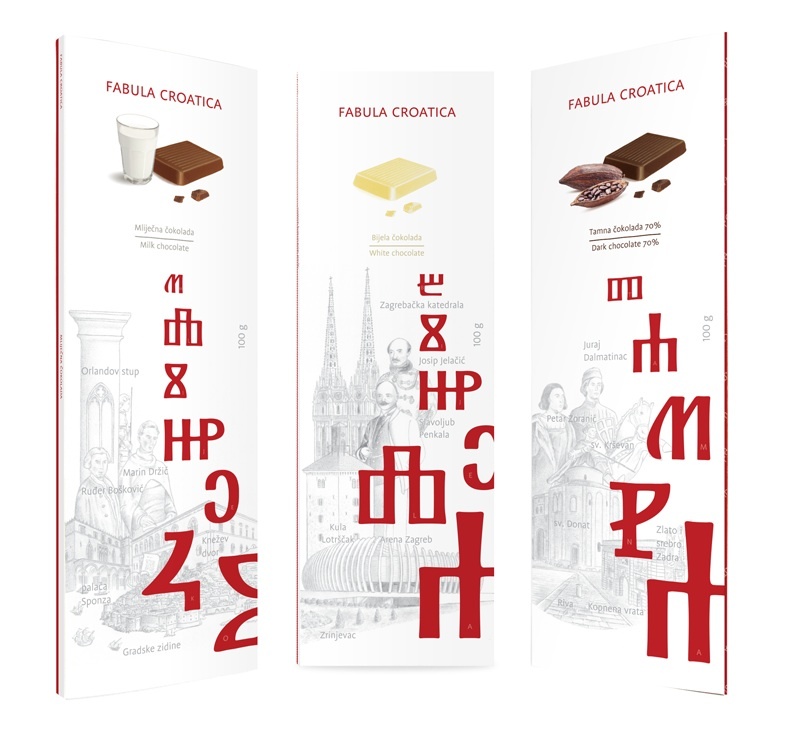 One such product that has been created as a part of FABULA CROATICA project is DOBRO chocolate. DOBRO chocolates have an interesting story about a city and are chocolates of highest quality. They are made from the finest cocoa beans and other high-quality ingredients. Owners of this product will be able to enjoy this precious chocolate treat. Each chocolate is accompanied with a certificate. Chocolates DOBRO tell us the stories about music, art, science, economy, customs and daily life of people who make a particular city. These chocolates are supplied from Croatian chocolate factories. In the packaging these stories are written in four languages: Croatian, English, German and Italian. Through these written stories, it is possible to get acquainted with the cultural values ​​of the city. If the domestic and foreign population, tourists, intellectuals, manufacturers, students, especially young people would want to know interesting facts about a Croatian city, it is necessary to tell a story, convey events and details like an interesting book or dramatic movie. In this way, tourists and other guests are included in the very spirit of the city they are visiting. In addition to language ​​and script, one nation makes a culture, a society and a country, and without it culture is not sustainable. Culture is the strongest channel through which guests can meet the country's identity. That is why the elements of culture are also the main part of product's identity around which the story in FABULA CROATICA is being built. It is possible to build a relationship between guests from foreign countries who come to visit Croatia for business or private reasons through this kind of product. The originality and quality are the preconditions that must be justified with the price. That kind of product also has to offer great experience as its advantage. In that way it will not only be possible to sell the best what Croatia has to offer in its own country, but what is even more important, the same culture and the same experience can be sold on a foreign market. So every country that wants to build a business based on its culture and previously mentioned features, can create a foundation for long-term success. In order to be realized and be further developed, such a product needs your financial support. Our efforts are currently focused on building a network of selling points through which this product (DOBRO chocolates) will be accessible as a business gift or a souvenir. The next step is to design a new chocolate DOBRO. If you want to support this cause in order for Croatia to have one more product of high quality, you can contact us via e-mail at info@fabula-croatica.com. We want to create a product for export, which promotes Croatian cultural heritage in a way consumers find attractive, with which they could connect with their everyday lives and through which they will see their own culture. The idea for that is already being developed at FABULA CROATICA and we hope that with your help this product will be on the shelf soon. In that way a lot of people will have a chance to be ambassadors of Croatian culture. Visit us on the web at www.fabula-croatica.com to start our collaboration. 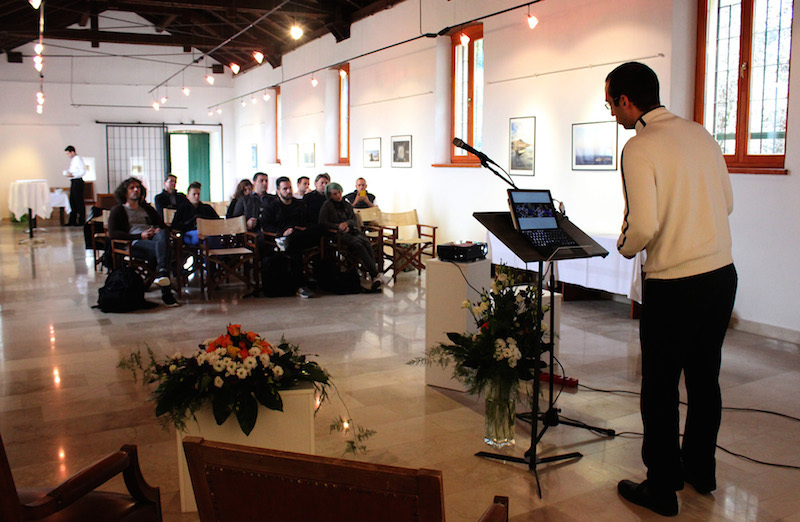 Filip Cvitić presenting his ideas and products in the Croatian royal city of Knin. 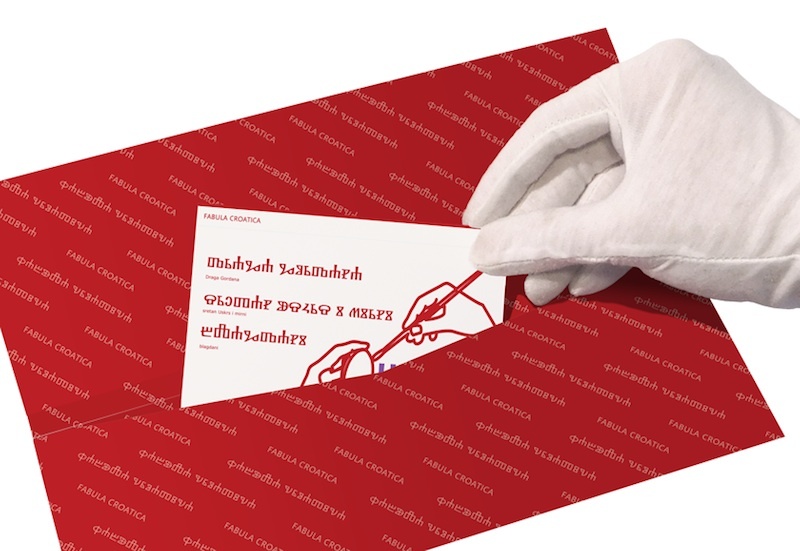 Each personalized chocolate is accompanied with a message in Latin Script and in Croatian Glagolitic Script (GLOGENA). 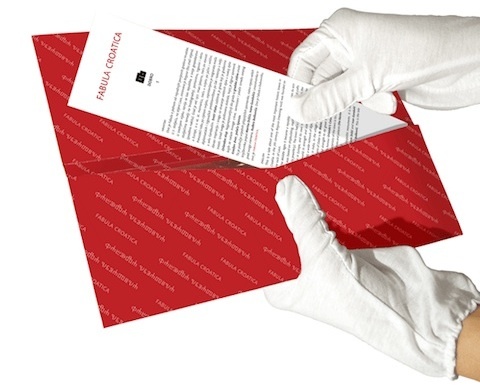 Messages can be inserted prior to purchasing the product, according to wish of the buyer. 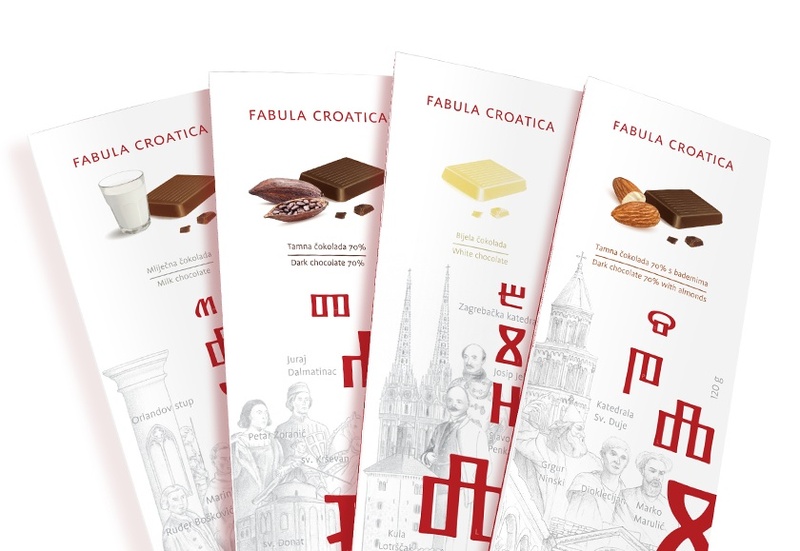 Chocolates representing the cities of Dubrovnik, Zagreb and Zadar. Filip is also the author of a superb Croatian Glagolitic font. 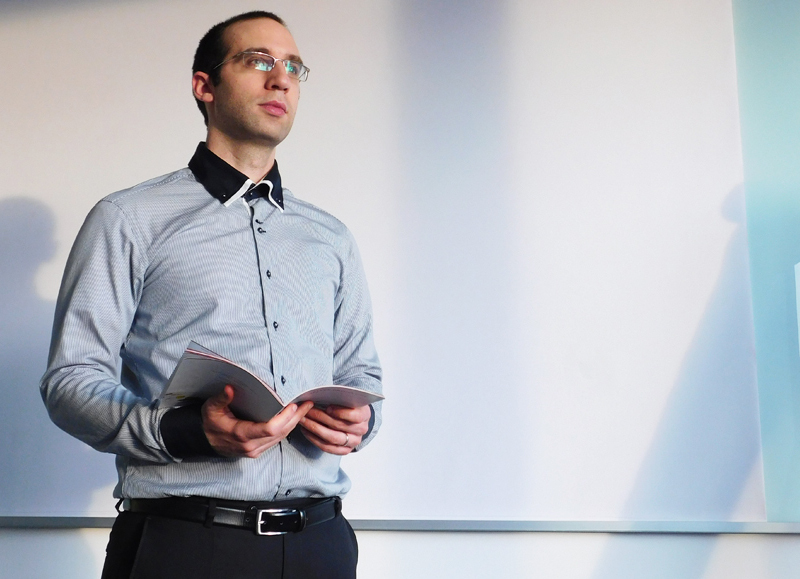 Filip Cvitić on the left, during the Branding Croatia 2 meeting in Zagreb, 2016.